Hey everyone! Jess here again, have you been looking at the cards for the past few days! It is astounding how talented these wonderful people are. So while I was planning out my cards for this series, I decided that not everything that you cut on your machine has to be a detailed cut, sometimes you can cut something as simple as the bottom piece for this card, just a simple half circle cut at the bottom. 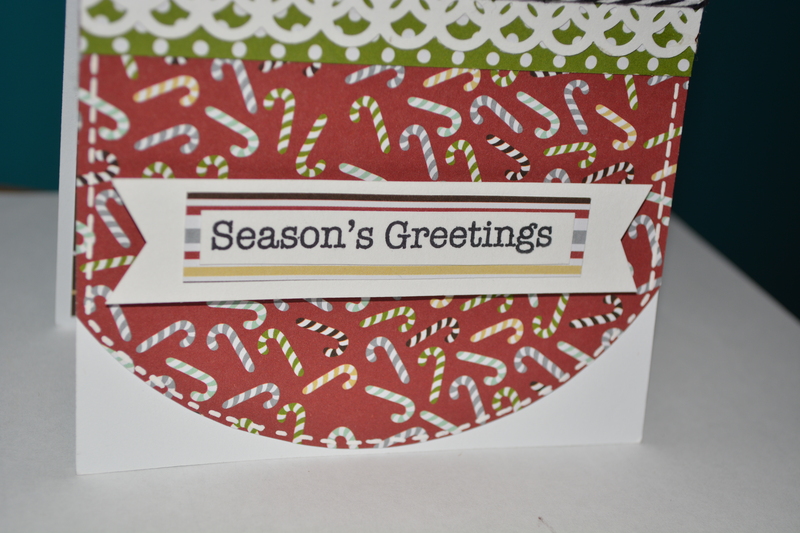 Honestly, unless you are cutting chipboard, or something of that nature, you can do all of your die cutting with an electronic die cutter. 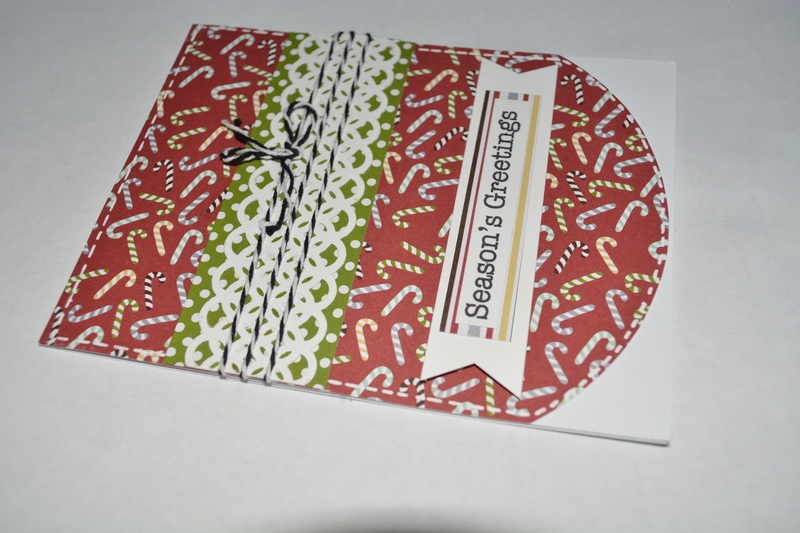 So this card is rather simple, on top of the piece I cut on the cameo, I attached a green polka dot strip, and then took a piece of white cardstock that I punched with a Martha Stewart punch (sorry the name of the punch escapes me at the moment). Then I tied some chocolate brown bakers twine around that. 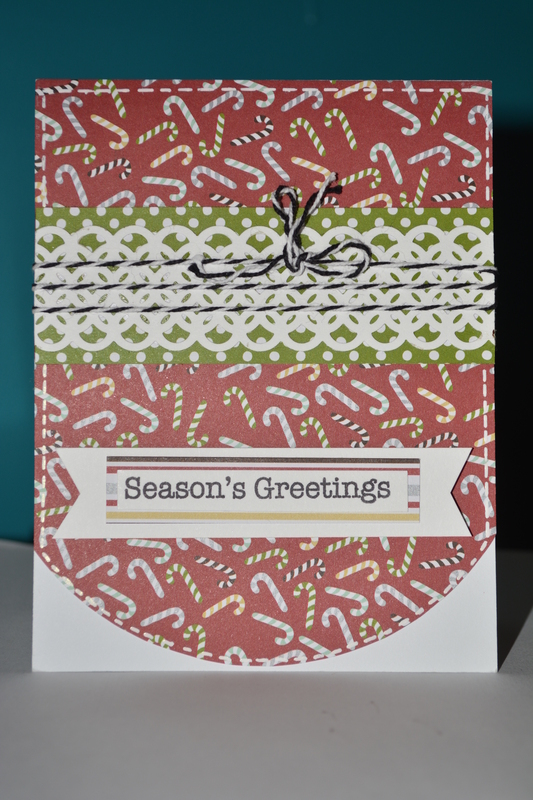 Then I stamped the Season’s Greeting sentiment from my go to Hero Art’s stamp set, matted that on patterned paper then added a white banner behind it, added some faux stitching around the bottom panel and put it all on a standard size, top folding card base. That’s it for today’s card. You are so good at this! Love this card!